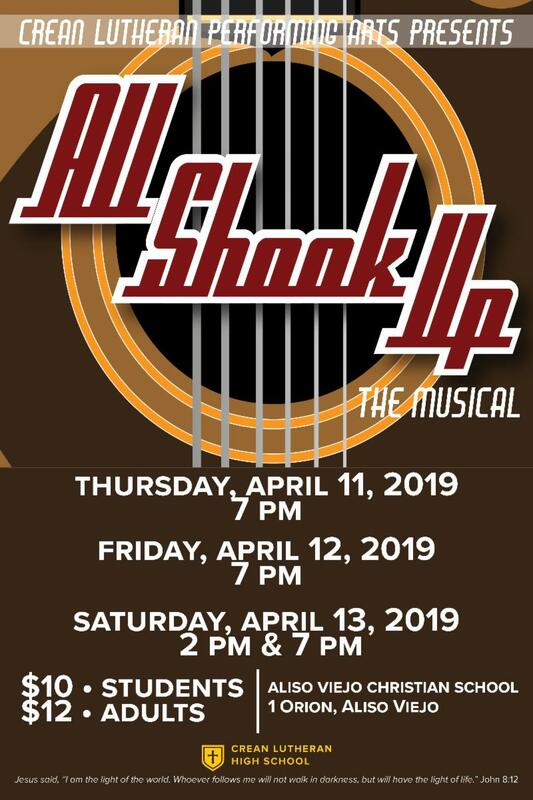 The Performing Arts Department presents All Shook Up, The Musical on April 11, 12, and 13 at Aliso Viejo Christian School. The musical takes place in 1955, somewhere in middle America, where one girl's dream and a surprise visit from a mysterious leather-jacketed, guitar-playing stranger help a small town to discover the fun of rock & roll. 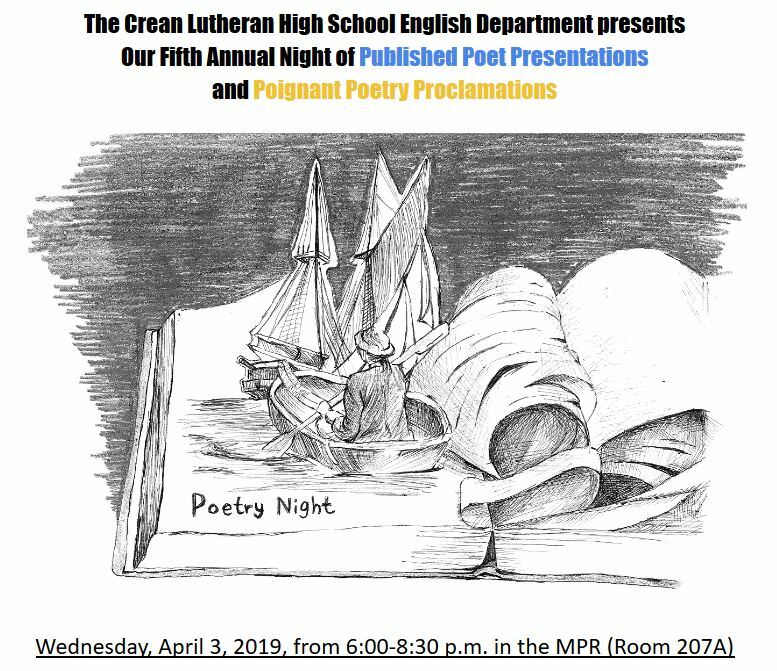 Join the English Department for Crean Lutheran's Fifth Annual Poetry Night on Wednesday, April 3 at 6:00pm in room 207A! All student presenters will receive English extra credit (see your English teacher for details). Prizes will be awarded for the Best Original Poem, Best Poem Recitation, and Most Creative Presentation. Presenters sign up below! Early bird pricing ends today! 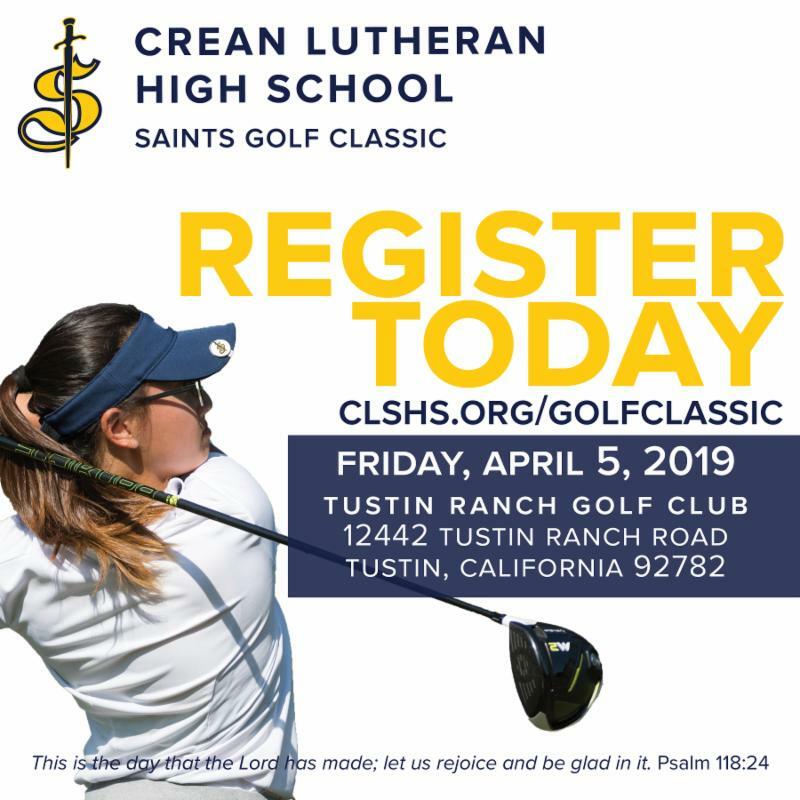 Register to golf in the Saints Golf Classic on Friday, April 5 in support of Crean Lutheran Athletics. Please complete your student's enrollment for the 2019-20 school year by paying the $550 registration fee, completing the 2019-20 financial agreement, and finalizing a payment plan in FACTS. In order to obtain classes for the upcoming school year, you will need to complete these 3 steps. 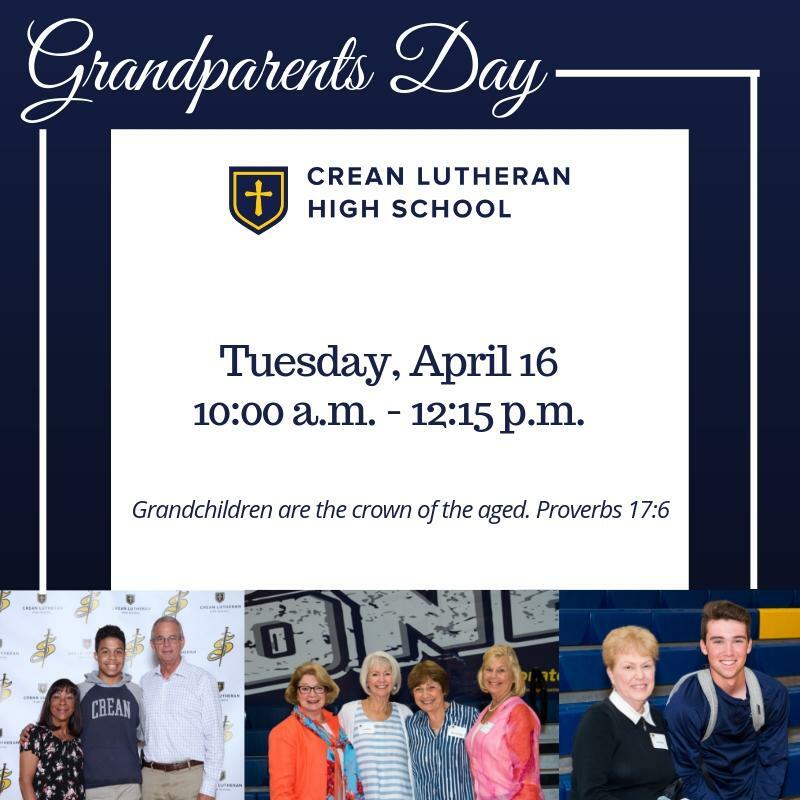 Please contact Pam Pindroh at pindroh@clshs.org or 949-387-1199 x2419 if you have any questions. 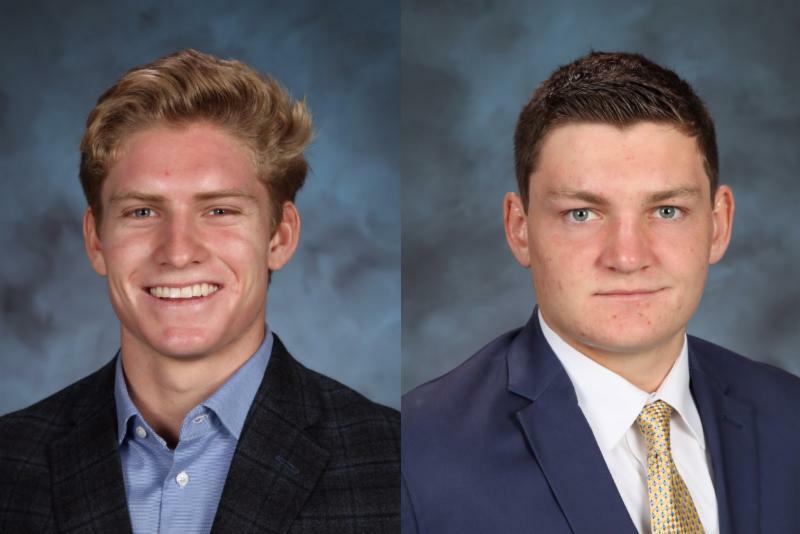 Seniors Jack Johnson and Tom St. George were honored at the Scholar Athlete Award Banquet by the National Football Foundation on March 11. 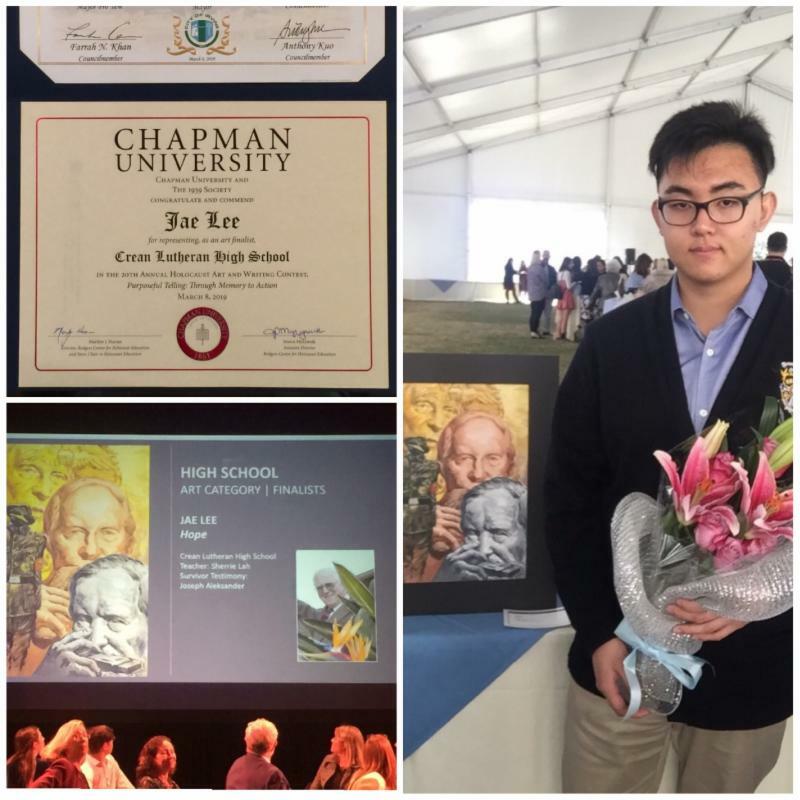 Junior Jae Lee was named a finalist in the Chapman University Annual Holocaust Art and Writing Contest on March 8. The contest commemorates Holocaust survivors and showcases their stories through art and writing.